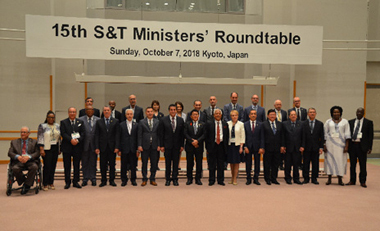 On October 7th, 2018, the 15th Science and Technology Ministers&apos; Roundtable was held in Kyoto. 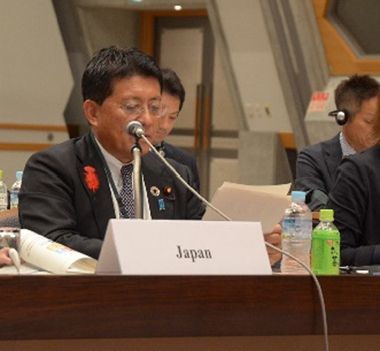 It was chaired by His Excellency Hirai, Japan&apos; s Minister of State for Science and Technology Policy, and was attended by the Science Ministers and the Science Advisers to the head of the state, and other representatives from 22 countries, including Japan. The theme of this year&apos; s Roundtable was "The Role of Science, Technology and Innovation (STI) for Sustainable Development Goals (SDGs) – Lights and Shadows of STI for SDGs –". At the Roundtable, the participants discussed the importance of further investment in STI; cooperation among industry, academia, and government; human resources development as well as a need for strengthening international cooperation,according to various social and economic backgrounds of each country. 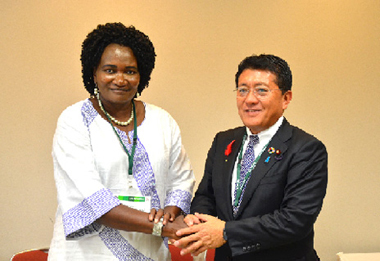 Minister Hirai also held bilateral meetings with Her Excellency Itah Kandjii-Murangi, Minister of Higher Education, Training and Innovation of the Republic of Namibia, and Dr. Fernando Mario González Bermúdez, First Deputy Minister of Science, Technology and Environment of the Republic of Cuba. Minister Kandjii-Murangi and Minister Hirai discussed about value and job creation through the process of industrialization, as well as the importance of solving various societal problems such as water and energy with the use of STI. 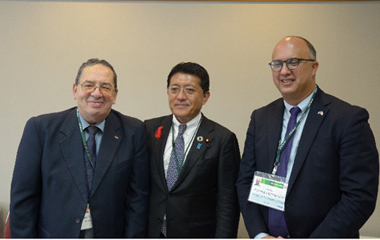 First Deputy Minister González Bermúdez and Minister Hirai exchanged opinions on the possibility of STI, which would help solve issues related to poverty, hunger, and other areas.